Fifteen years ago while living in North Carolina, I had the opportunity to learn about the Hebraic Roots of Christianity. During this time, I also attended Shabbat (Sabbath) services held in a church of Messianic Jews (Jewish people who had come to know Christ as their Savior but still follow some Jewish laws and traditions). When I returned home to North Dakota, I didn’t continue my studies, mainly due to a lack of opportunity. But, lately, I have a renewed interest in learning about the Jewish faith of Jesus, the apostle Paul, and the disciples. So when I found the book, Girl Meets God: On the Path to a Spiritual Life , one day at our local library, I almost felt like the Lord had led me to it. If you are at all curious about the Hebraic Roots of Christianity and would like to know more about the Jewish faith, I highly recommend this book. The author goes into detail about why Jews celebrate each of the feasts and the importance of the Jewish calendar. She does a great job of blending history, theology and her personal story, thereby making her memoir educational, inspirational, and entertaining. 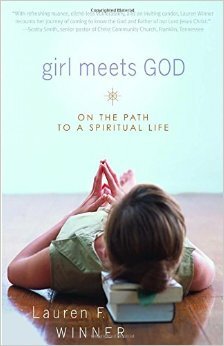 Girl Meets God: On the Path to a Spiritual Life is written by Lauren F. Winner. 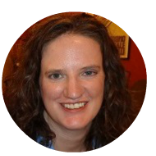 Lauren was born in Virginia to a Southern Baptist mother and a Jewish father. Her parents decide to raise her and her sister in the Jewish faith. While in college, Lauren makes the decision to convert from a Reformed to an Orthodox Jew. But something happens during the conversion process: she dreams about someone coming to her rescue. Convinced it was Jesus she dreamt about, and after much soul-searching, Lauren decides to convert to Christianity. Shortly after her conversion, Lauren is told she needs to “divorce” her former faith. Reluctantly, she gets rid of all of her books having to do with Judaism. This proves to be difficult, given both her love of books and her extensive collection. She goes through with it, however, because she believes she has to pick either Judaism or Christianity. For this same reason, she strongly dislikes Messianic Jews. “I just want to shake them and yell at them to just pick a religion,” she writes. Instead of separating the book into chapters and parts, Lauren divides it according to the feasts and Holy Days of both the Jewish and Christian calendars. For instance, the book starts at Sukkot, goes into Advent, and ends with Shavuot and Pentecost. As Lauren celebrates the Christian holidays, she finds herself reminiscing about the Jewish ones. One holiday in particular makes an impact on her. It is Easter season, and the church she attends is hosting a Passion play. She’s mortified when she hears the actors chant, “Crucify him!” Her concern stems from how it makes Jews look like a bloodthirsty mob that killed Jesus. She wonders if the children in attendance will grow up thinking that all Jews are bad. As she goes through her year, she realizes that instead of her Jewish background hindering her acceptance of Jesus as the Messiah, it’s actually helping her. And thanks to her extensive studies of the Old Testament, she's able to gain a better understanding of the New Testament too. Eventually, Lauren restores her Jewish library. She does so because she realizes that even after a divorce, there are still common bonds that hold a couple together. Do you think God speaks to us through dreams? Have you ever had a dream that caused you to make a major life decision? Have you ever realized or had questions about what Judaism and Christianity have in common?